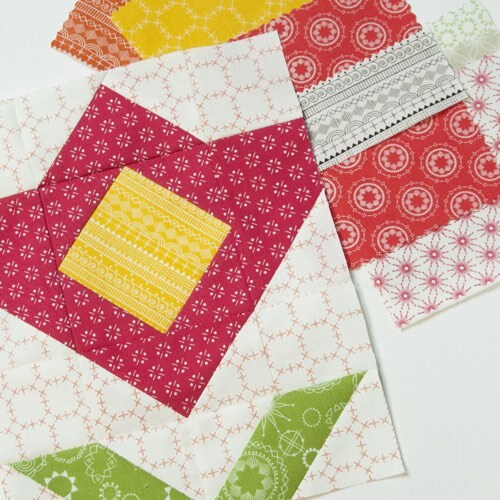 Improv quilting is a fun and often overwhelming method to piece a quilt. 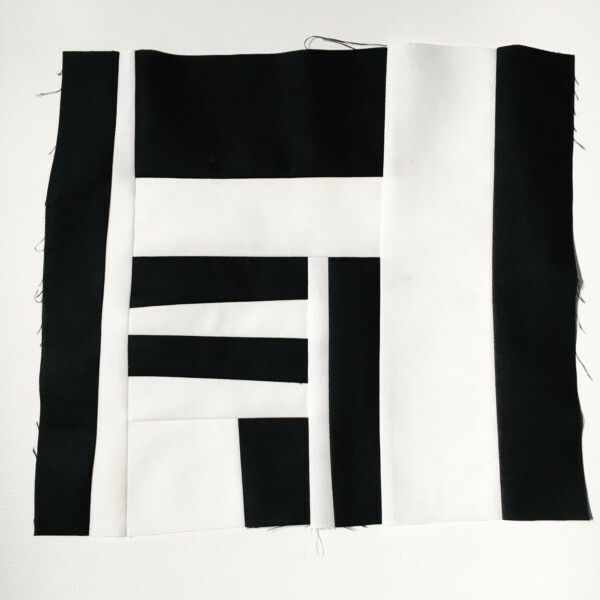 I spent 100 days exploring improv quilting and want to encourage you to explore too! Looking around at my quilts and projects I’ve designed and made, I tend to be a very orderly quilter. 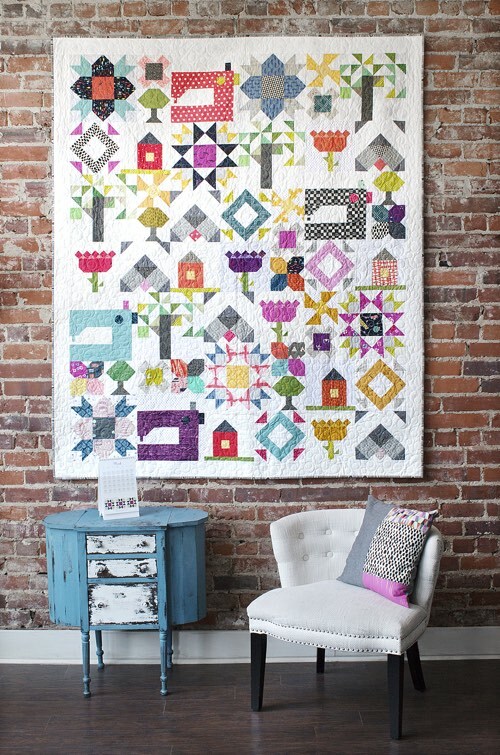 I love the sequence and symmetry found in quilt blocks and the making of them. 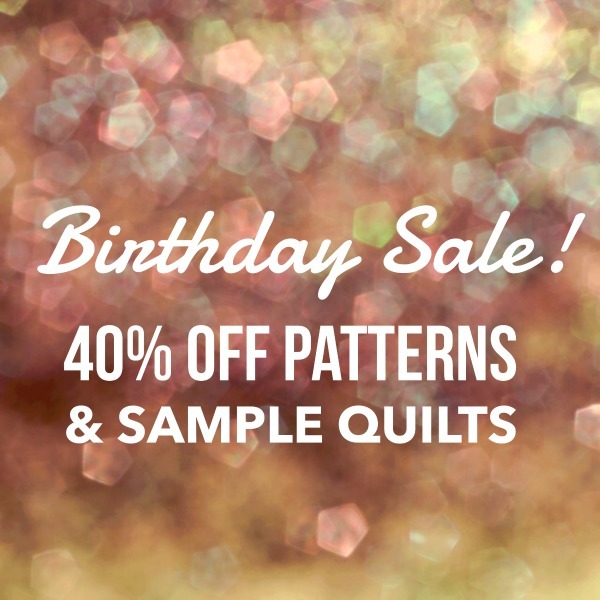 I’m the “quilt nerd” that enjoys the math, and working out the best way to piece a tricky block. Putting down my measuring tools and cutting without a ruler did not come naturally. With practice and effort though, I’ve been able to really enjoy improv piecing! 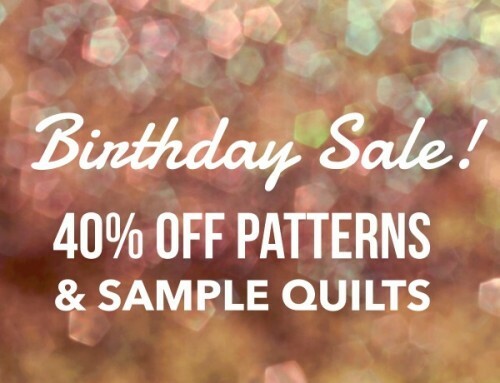 I understand the need to match points and piece precise quilts. I also understand the desire to try something new. To push your creativity, and explore beyond your comfort zone. 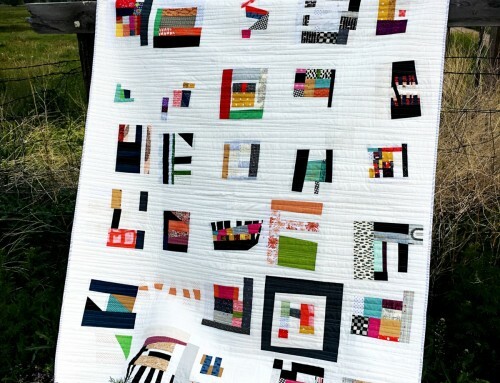 This is why I challenged myself to explore improv quilting for 100 days, and eventually wrote this e-book. Even when the prospect is overwhelming and intimidating, you can do it! Throughout the e-book I’ve included exercises to challenge you to explore your creativity. 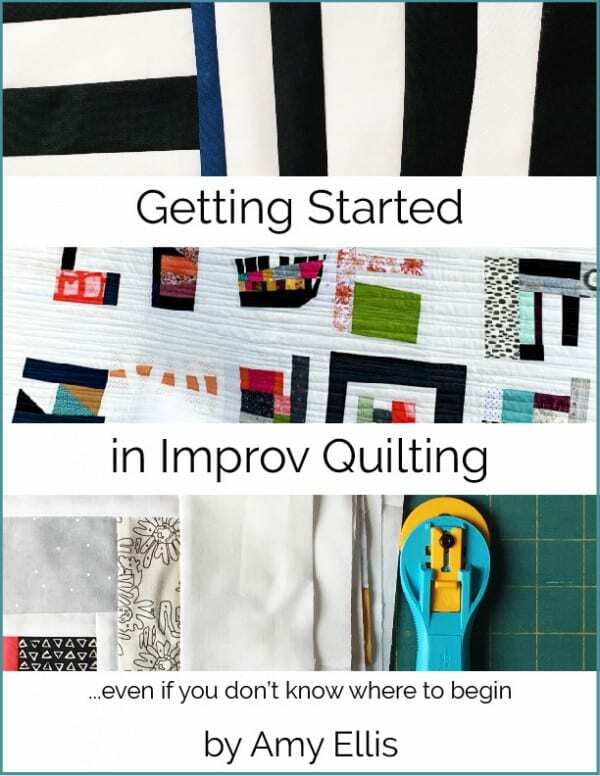 Getting Started in Improv Quilting is your first step to learning to enjoy the improv process. Get your toes wet and get ready to jump in! 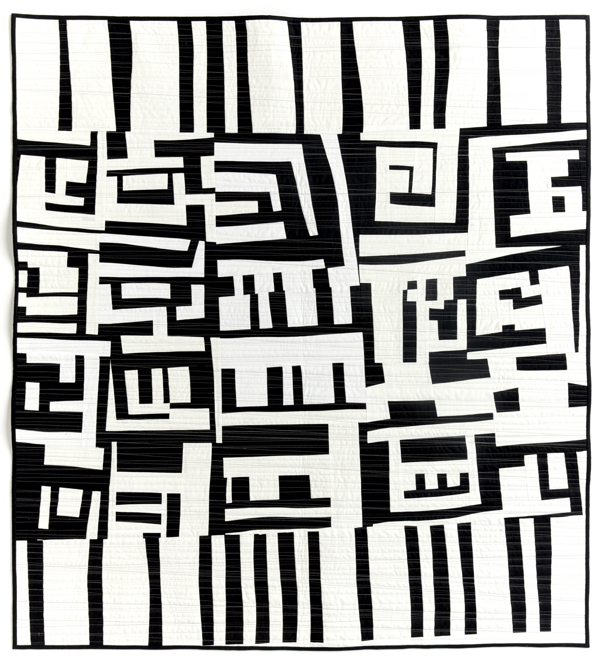 I do still design and piece precise quilts, but I’ve also added a few improv techniques that I like a lot to some of the patterns that I’ve created in the last couple of years. 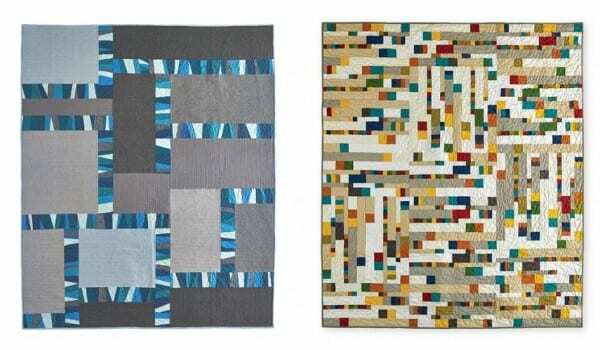 By exploring all that improv quilting entails, I’m able to then incorporate some of those ideas into a structured pattern that anyone can follow. 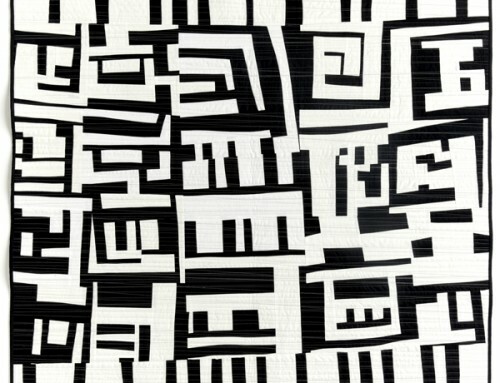 Mellow Grids on the left, is made with improvised paper piecing, and large zones of negative space. While Rooftop Wonders has a precise block, but no intentional color placement, allowing the maker to explore various color combinations. 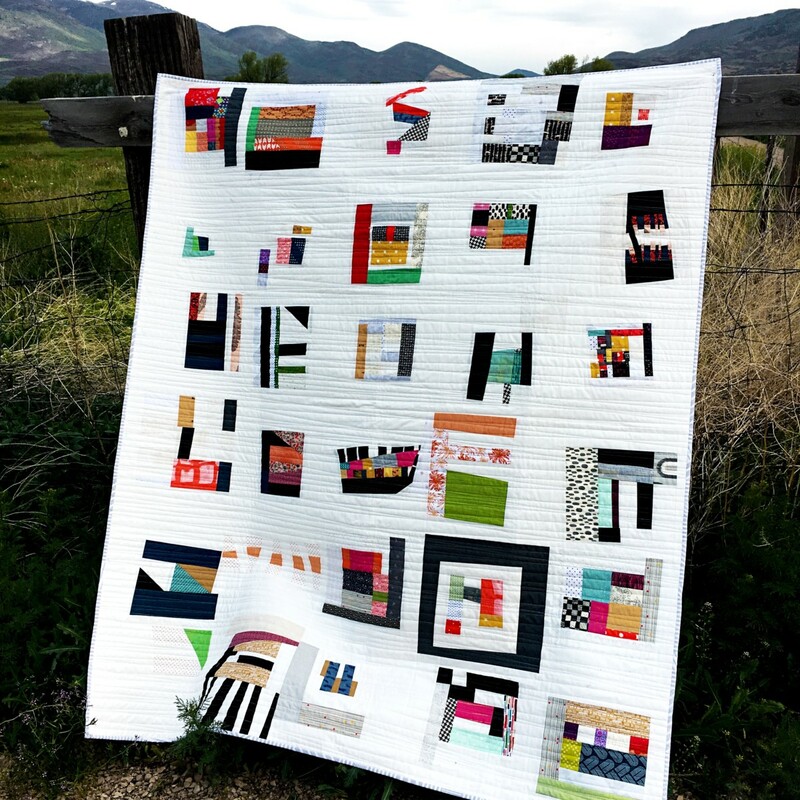 Challenging myself and growing as a quilter has added a lot of fun to my quilts too! I love the freedom to piece a quilt without a plan, and see what it becomes. 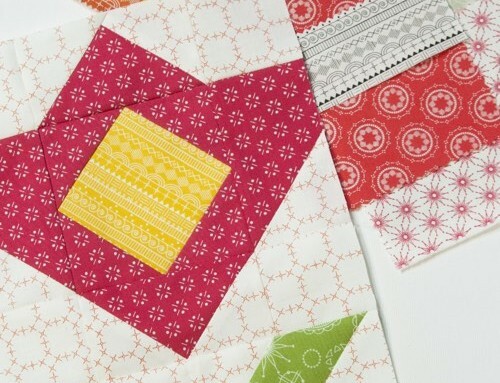 If your quilting journey has you feeling a little uninspired, it might be time to add a little improv to your skills! Want to jump in to improv with me? I’m hosting a week long challenge to get your creative muscles working on improv! You can start anytime, and the challenge will include a daily email with prompts for what to sew, and share online. To join the challenge, rsvp here, and we will get started right away. 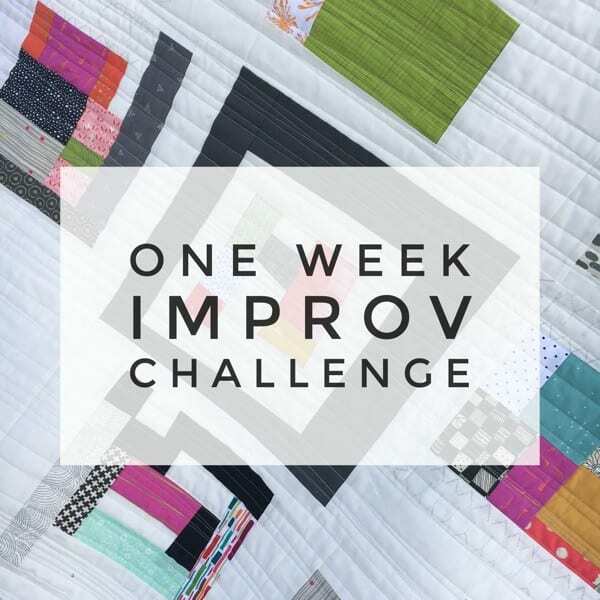 Sign up for a 7 Day Improv Challenge! In the challenge my goal is to help you experiment and try things, to learn about the process and what you like to piece. Giving you a foundation to explore more in improv, as you continue to sew. Let me know if you have questions in the comments – I’m excited to see you embrace improv! I’m excited about this! A friend pointed me to it and it’s just what I need. Let the playtime begin! Thank you for offering this Challenge. I have just purchased your book, and I think the challenge will be the perfect thing to help me make the most of the book. It is cold and overcast here most days now. I have knee pain that is keeping me from doing most things and 16 days to go before I can see a doctor so need something to distract me and I think I can sew. Looking forward to getting started. I was excited to start and got the initial email, but then didn’t get anything yesterday or today. Uh oh! I checked and it looks like the emails have been sent out, you might check your spam folder, and make sure to white list my email address. Just signed up. How long before you get the confirmation email? I just now came across your challenge and hope it’s not too late to sign up. I’ve only made one improv piece in my life, and it was the Facets quilt in a QAL with Christa Watson around 4 years ago. It has since become my favorite quilt and will stay in my personal collection forever. I recently came up with a hairbrain idea in order to use up a huge bag of small scraps leftover from previous projects, and so I started improv piecing them together. I haven’t gotten very far on it because I actually have to stop and think how I want to place each piece. I thought it would be easy and quick, but it isn’t for me, LOL. I spend too much time thinking before placing. Anyways, since I’ve already considered an improv piece, I may as well join in on this challenge!